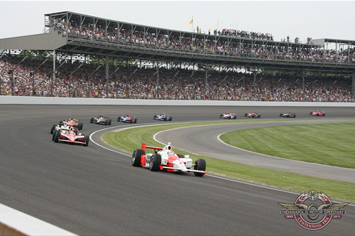 The Indianapolis 500-Mile Race, often shortened to Indianapolis 500 or Indy 500 or sometimes known simply as The 500, is an American automobile race, held annually over the Memorial Day weekend at the Indianapolis Motor Speedway in Speedway, Indiana. 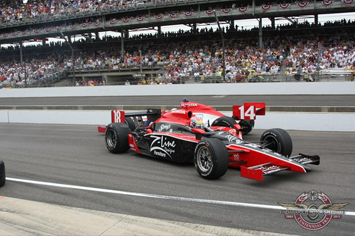 The event lends its name to the IndyCar class, or formula, of open-wheel race cars that have competed in it. The Indianapolis Motor Speedway was founded by Carl Fisher in 1906, and the first Indianapolis 500 Mile Race was held in 1911. 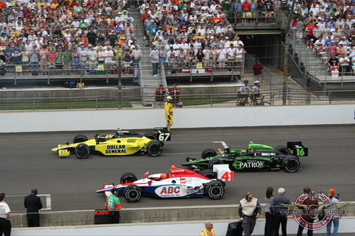 Hulman spent millions of dollars improving the facility and turned the Indianapolis 500 into the "Greatest Spectacle in Racing. "Despite rain delays, deaths, and a power struggle in auto racing circles, there has been an Indianapolis 500 each year since 1946. 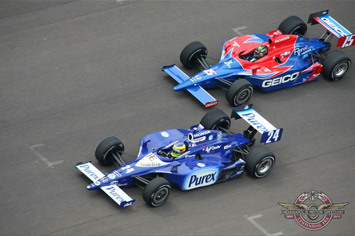 The event, billed as The Greatest Spectacle in Racing, is one of the oldest motorsport events, and is considered one of the three most significant motor racing events in the world. While the official attendance is not disclosed by Speedway management, with a permanent seating capacity for more than 257,000 people and infield seating that raises capacity further to an approximate 400,000, it is the largest single-day sporting event in the world. 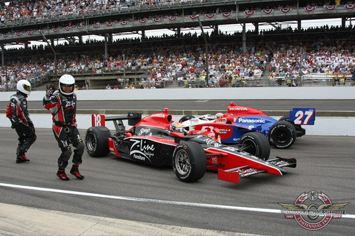 The Indianapolis 500 features one of the strongest fields for many years, following the merger between the IRL (Indy Racing League) and Champcar. 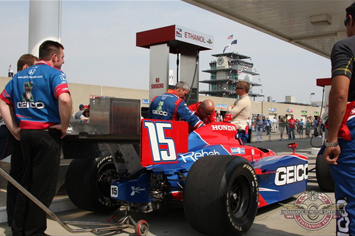 As usual, the month of May has been filled by rookie orientation, practice and qualifying. 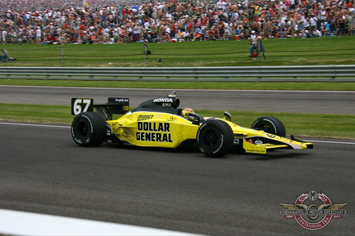 When the race was an open event the qualifying procedure entailed the admission fee and maintained a certain speed was allowed to join the field. The order of start was determined at random, by determining who handed in their signup forms first. Now the qualifying, since it is by invitation only, is a little tougher. The current speed-based qualifying was started in 1915 and the field was limited to 33 entries, which is still the case for today's race. The qualifying process today consists of a four-lap distance and it was introduced in the year 1933. 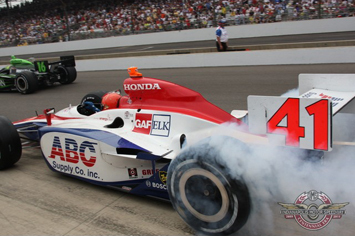 With each race comes traditions at the Indy 500 from year to year. The most popular tradition, and most popular words in sports aside from "Play Ball," is "Gentlemen, start your engines!" Other traditions include the detonation of an explosive to signal the opening of the arena's gates at 6am on the day of the race, "Taps" is played to symbolize the remembrance of Memorial Day along with a flyover, "God Bless America" is performed by Florence Henderson and "The Star-Spangled Banner" is performed by a different popular artist each year. 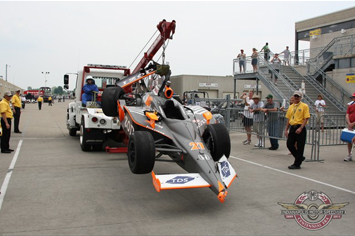 There have been a multitude of accidents during the running of the Indy 500 and a handful of deaths involving drivers, crew, spectators and driving mechanics (which haven't been used since the early years of the race). The last death during the Indy 500 was in 1973 when Swede Savage died on July 2nd in a hospital from injuries suffered in the race. Some believe that Savage might have died do to contaminated blood from a transfusion. Savage was the 14th driver to die either at the race or after the race to due injuries from an accident or from heat exhaustion. Unfortunatelly, car accidents and crashes are frequent during the race. That's why there are a lot of parts along and custom racing wheels and tires can be found the whole track.